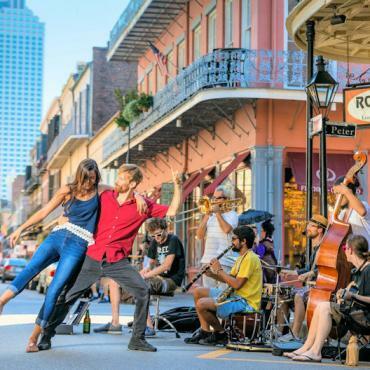 Louisiana is the perfect choice if you're seeking a holiday that delivers a heavy dose of music, food and unique Southern experiences. This holiday is even more authentic by including accommodation in historic B&Bs and Inns along with some of the finest plantation homes in the USA. Slow paced and relaxed, this is one state where you’ll want to take your time. Travel off the highways and experience genuine hospitality, mouth-watering cuisine and a colourful heritage and culture. There is also that world-famous music that emanates from every nook and cranny and you’re first experience of an authentic juke joint will be a holiday highlight. 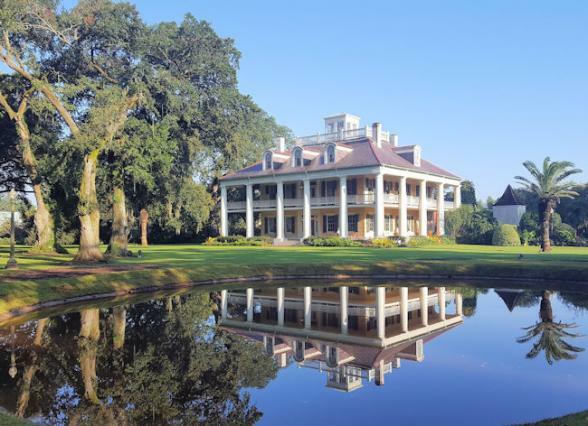 Explore the grandiose plantation homes that line the Mississippi River and the misty, sub-tropical swamplands teeming with wildlife. Mooch through sleepy Southern towns where little has changed. 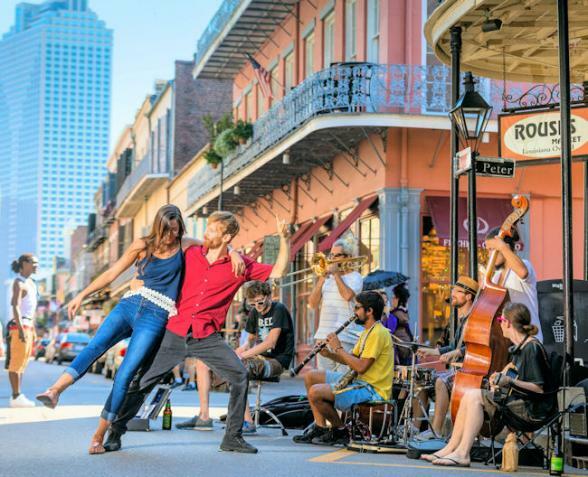 Then, by way of contrast, end your road trip in the vibrant French Quarter of New Orleans. Arrive into New Orleans in time for jazz and cocktails on lively Bourbon Street. 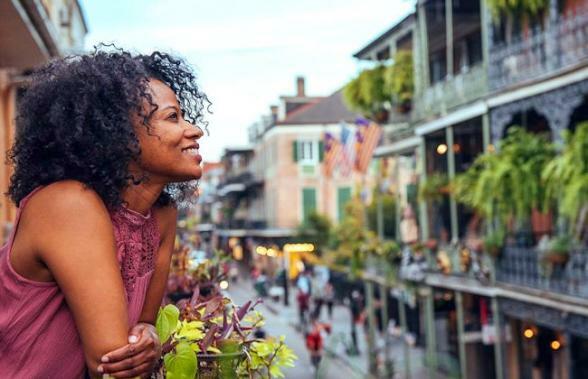 Swathed in the romance of pirates, voodoo and Mardi Gras, New Orleans was built in the 1700's and represents more than 300 years of French, Spanish and American culture. A walking tour is always a great way to get your bearings and you’ll discover areas of the French Quarter off the tourist track. Also an ideal way to see the city, is by historic streetcar through the Garden District and you don’t want to miss a paddle wheeler cruise on the Mississippi. The local speciality is the Po'boy sandwich - and no better place to sample one than historic Jackson Square. The Mardi Gras museum has a colourful collection of costumes and floats and you can also take a tour around the interesting above ground cemeteries. 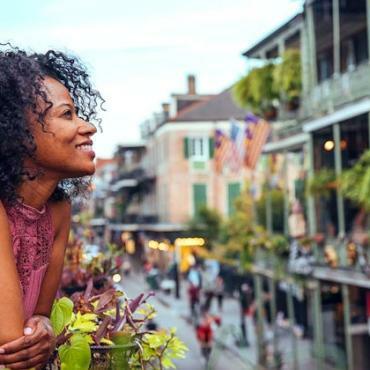 Stock up on Louisiana spices at the French Market, stroll around the antique shops and boutiques along Magazine Street, or take in an authentic jazz performance at Preservation Hall. Dining options are as delicious as they are diverse. Cajun and Creole and everything in between. We’ll be happy to suggest a few places as we have a bit of New Orleans insider knowledge! We'll also suggest all of the tours that should be pre-booked before you travel. 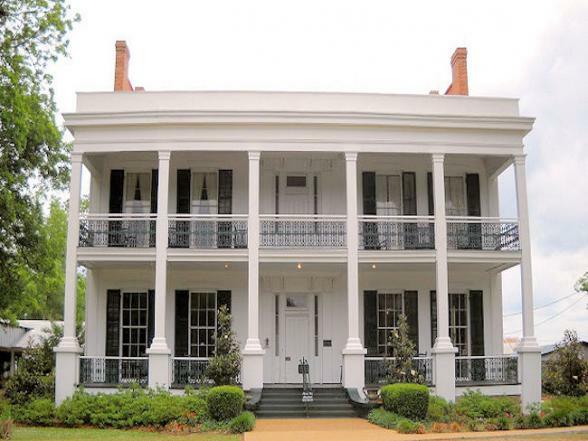 Accommodation: Historic hotel in the heart of the French Quarter or historic mansion in the Garden District. 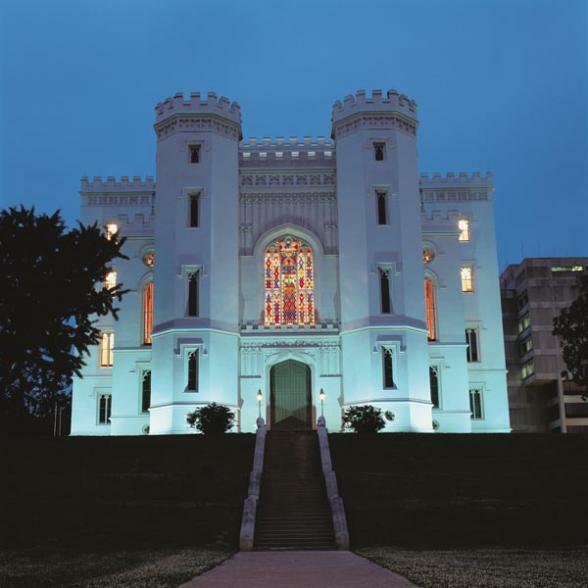 Drive the Great River Road to Louisiana’s historic capital city Baton Rouge. Prior to the Civil War, more than half of America's millionaires lived between Natchez and New Orleans on the fertile soil of the Mississippi. Many homes were destroyed during and after the War, but many remain restored to their former glory with sculpted gardens and an incredible history. The Art Deco capitol building is worth a visit for great views over Baton Rouge. Walking foodie tours are popular and include eateries where you can sample local favourites like shrimp and grits, duck poppers and beignets. On the outskirts of St Francisville is one of the USA's most haunted mansions, The Myrtles Plantation Home. Built by General David Bradford in 1796, this splendid home offers daily guided tours where you can discover dark secrets about past residents and hear tales about the ghosts that are said to haunt the grounds. 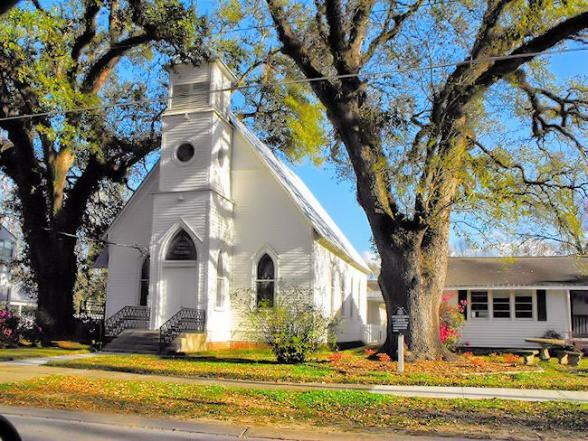 St Francisville is a sleepy town located in the Parish of West Feliciana dating back to the early 1800s with many homes, churches, shops and the courthouse listed on the national historic registry. Cat Island National Wildlife Refuge is home to the national bald-cypress tree, the largest tree in North America east of the California Redwoods. Afton Villa Gardens are considered the most picturesque in the state and worth a look. On your journey through the heart of rural Louisiana, stop at Frogmore Cotton Plantation & Gins - a modern day working plantation. The two-hour Delta Music Tour takes you on a journey back in time to the trial and tribulations of life as a plantation slave. Another stop on your way to Alexandria is William Loyd's, Loyd Hall in Cheneyville. The story goes that William Loyd somehow disgraced his British family and was sent away. Yes, the famous Lloyd's of London Insurance dynasty. William was given enough money to start a new life in the USA and was never to return to England. His family also forbade him from using the second ‘L’ in his surname. It is unknown to this day exactly what William did to be sentenced to hard time in America! Alexandria is set in the very heart of Louisiana and is home to the Louisiana State Museum and the impressive Alexandria Museum of Art. In the evening, dine on local dishes such as etouffe, crawfish and jambalaya. 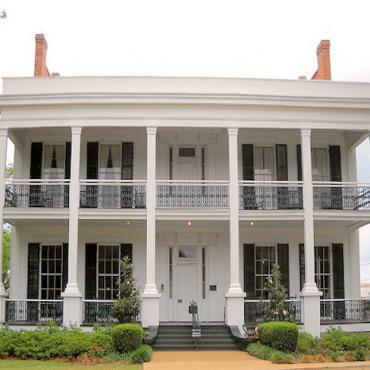 Historic Natchitoches was established in 1714 and named after a local Native American Indian tribe. It is also the oldest settlement in the Louisiana Purchase. This beautifully preserved town is a fine example of the architecture of this period and has 33 blocks for you to explore. 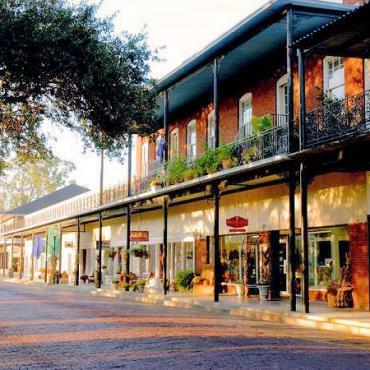 The National Historic Downtown District also includes French Creole townhouses, many fine Southern eateries and boutiques. If you have a sense of deja vu, don't be surprised as Natchitoches was the setting for the movie Steel Magnolias with Dolly Parton, Julia Roberts and Shirley MacLaine. You can view the house where it was set which is now a luxury Bed & Breakfast. Throughout your holiday, you'll often feel in familiar surroundings. This is not surprising considering Louisiana is the third most popular region for filmmaking in the USA. If time allows, take a guided tour of Melrose Plantation and learn about the history of the house and the amazing people who built it. Marie Thérèse Coincoin, a former slave who eventually became a wealthy businesswoman, gave the land to her son, Louis Metoyer, in 1796. 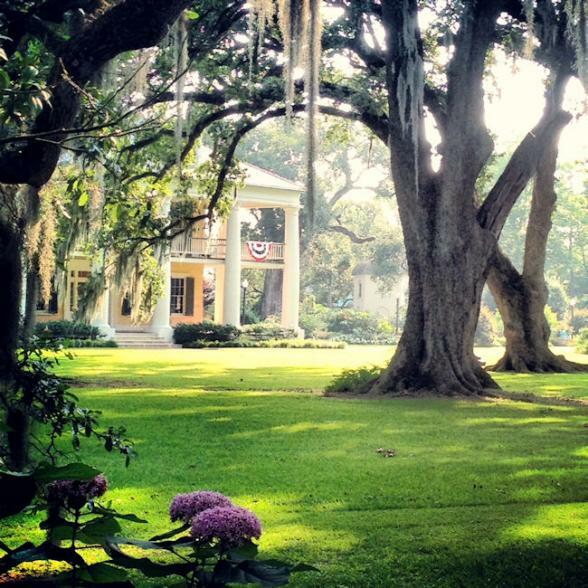 Metoyer started building the house in 1832, and it became one of the biggest plantations built by and for freed slaves. 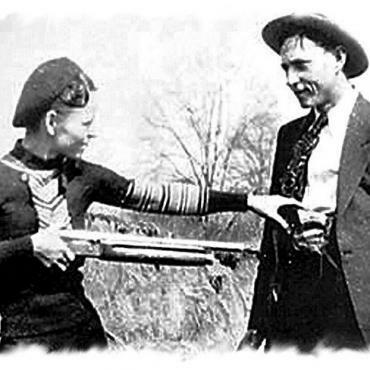 An interesting side trip on your way to Shreveport is the Bonnie & Clyde Ambush Museum in Gibsland. 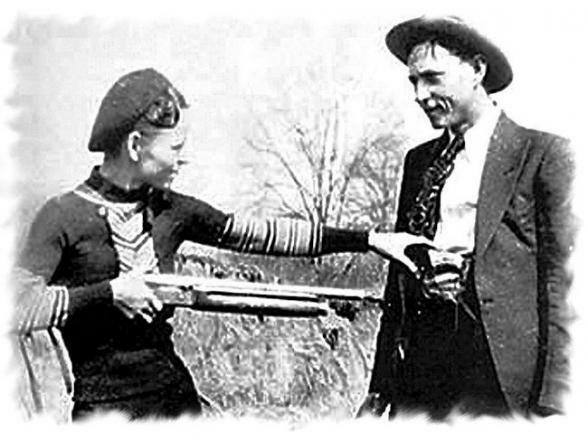 Witness where America's most notorious gangsters came to their bitter end. Also, the Germantown Colony Museum in Minden is worth a stop. It tells the story of a small group of settlers that made their way into the isolated wilderness of north Louisiana in 1835 to establish a pure Christian community, their own "kingdom of heaven." It endured for 40 years and decendents of the colony still live nearby. Shreveport sits on the Louisiana/Texas border on the Red River. A popular excursion is the Back Stage Music Tour of the historic Shreveport Municipal Auditorium. Learn the stories and hear the songs of the many stars who have graced their stage and walk in the footsteps of legends such as Elvis Presley. Shreveport is also home to the USA's largest park dedicated to roses at American Rose Center. This delightful 118 acre park features 20,000 rosebushes and a variety of companion plants, sculptures and fountains. Traditional Cajun and Creole cuisine, soul food/‘country cooking’ and Texas-style barbecue are all on the menus tonight and many of the local restaurants have live music at the weekends. En route to Lake Charles be sure to stop in charming Southern town of Leesville, and check out the super eerie Gothic jail at Deridder. Built in 1914, it was the first jail in America to have windows, it's supposedly haunted and is now a stop on Louisiana's Myths & Legends Byway. Lake Charles has a little bit of everything that defines Louisiana’s inimitable character. 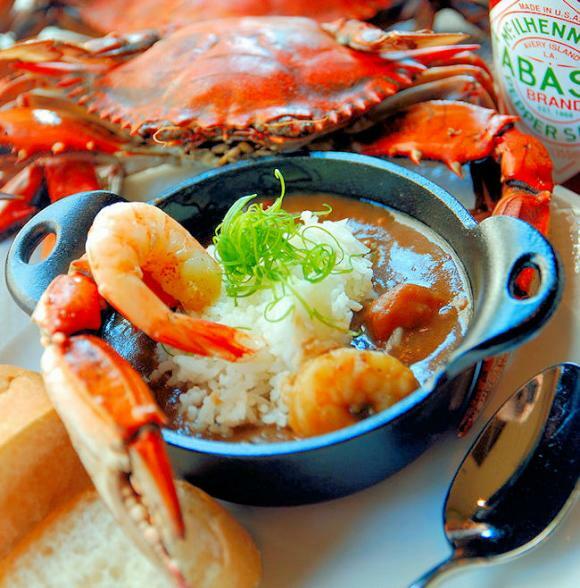 Cajun and Creole cuisine, unparalleled, fresh Louisiana seafood and marshlands filled with birds and wildlife along the Creole Nature Trail All-American Road. Head to the downtown Charpentier District - a twenty block area of homes dating back to the late 1800’s and 1900's. Another Lake Charles must-do is the Mardi Gras Museum which houses the largest collection of costumes in the South and showcases the history of this colourful parade. For what's reputedly THE best gumbo in the state, be sure to head to the locals favourite - The Seafood Palace. Lafayette continues the theme of authentic food, music and history. 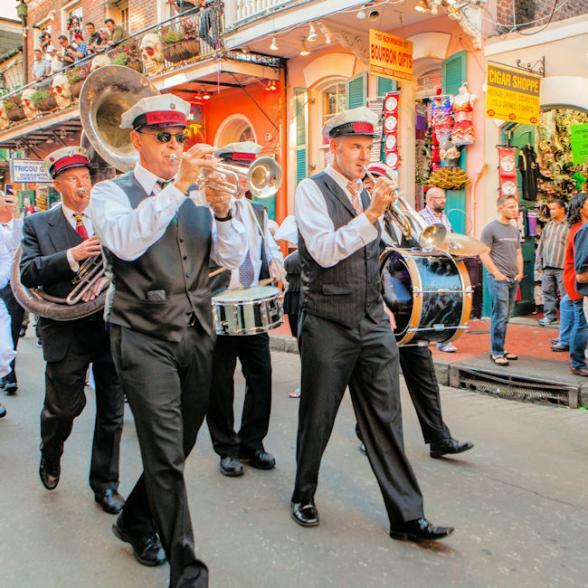 Dine in Cajun cafes and mix with the locals in the lively dance halls, our favourite has got to be Randol's. Vermilionville, a living museum and folk life park, will give you a fascinating insight to how the hardy Cajuns and Creoles lived. 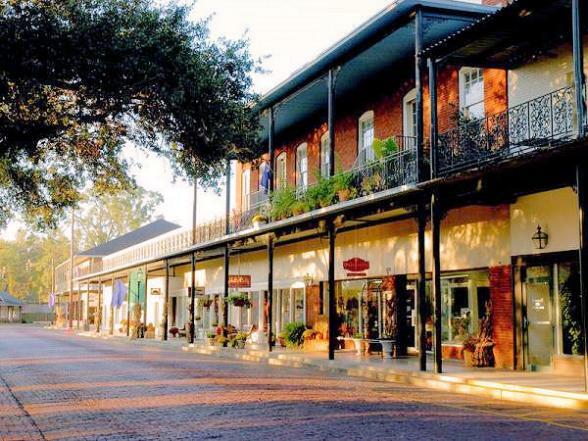 Lafayette is also known as the centre of Cajun culture and nearly half its population still speak Cajun French. Visitors can participate in any number of local activities such as cooking schools, dance classes, Cajun Cowboy cattle drives and music festivals. 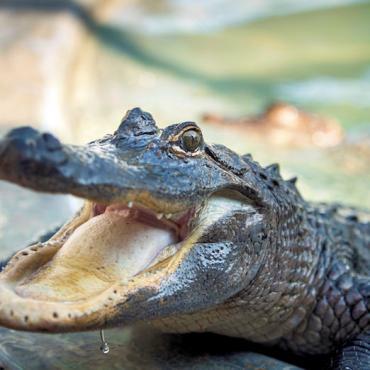 Lafayette is the perfect base to explore Atchafalaya Swamp, the largest wetland and swamp in the United States. An abundance of wildlife and at least 300 species of birds including thousands of wintering ducks and coots and the largest wintering population of American woodcock in North America can be found in this basin. Over 50,000 egrets, ibises and herons nest here as well as the largest nesting concentration of bald eagles in the South Central United States. 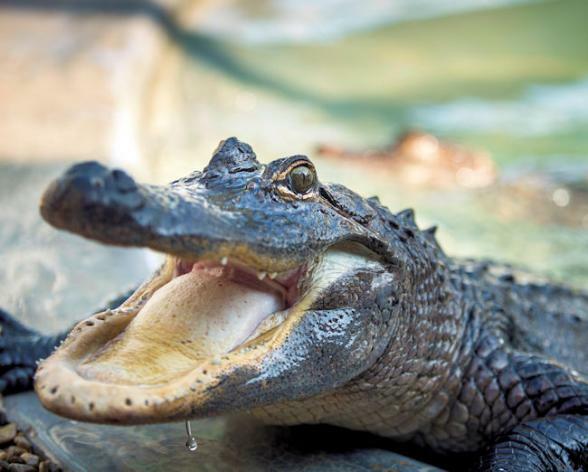 The American alligator, along with 65 other species of reptiles and amphibians, can also be found as well as over 90 species of fish, crawfish, crabs and shrimp. Needless to say, a swamp tour here is an experience you'll never forget. Just east of Lafayette is the quaint Cajun town of Beaux Bridge - The Crawfish Capital of the World! Take a stroll around the antique shops in the downtown area and enjoy the town's famous crustaceans in one of the many eateries. In the late 1800s, Mark Twain noted on his adventures down the mighty Mississippi that there were so many plantations and dwellings along the river that it looked like a spacious street. Towering mansions lay nestled in large patches of moss-draped oak trees. Slaves worked the sugarcane fields, while planters - from as far away as Europe - brought materials and furnishings in by steamboat. Planters often competed with each other to see who could build the grandest home along the Mississippi. Still today you can catch a glimpse of what Twain once saw by travelling along The Great River Road. 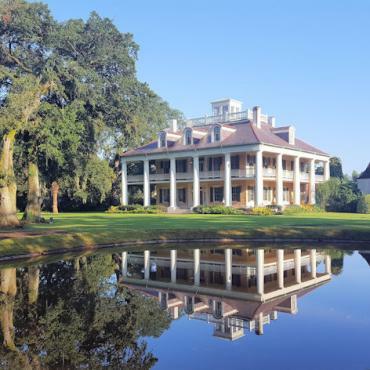 Around seventy miles long, it is located between Baton Rouge and New Orleans and boasts some of Louisiana's most famous and recognisable plantation houses. Vacherie is home to the impressive Oak Alley Plantation. Known as the Grand Dame of the Great River Road the setting is truly spectacular. This mansion is influenced by Georgian style, but you'll see other plantation homes based on English Manors, Spanish, Creole and West Indies, as well as, the elaborate Steamboat Gothic. 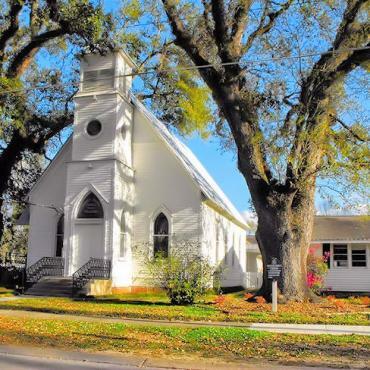 Other plantation homes worth visiting along this route include Nottoway, Houmas House, Laura, Evergreen (as featured in the movie Django Unchained), Ormond, San Francisco, Whitney, St Joseph, Destrehan and Felicity. You may be interested to know that the latter three homes were used as filming locations for the film 12 Years a Slave. Time for some last minute tax-free shopping in New Orleans before your afternoon flight back to the UK. Want to extend your holiday? Perhaps time in Nashville or Memphis? Maybe some beach time on the golden sands of Gulf Shores, Alabama or Florida? All Bon Voyage holidays are tailor-made, so call our team of experts to discuss your ideal Southern getaway.